With The Fourth Season the guys from Down Under present their 4th album in a decade and the follow-up of 2005's Embrace The Silence. 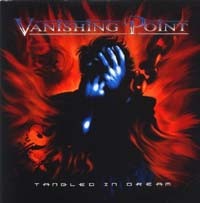 Vanishing Point already played some festivals outside Australia and had the chance to tour with Gamma Ray in September 2001 in Europe. But even today as the world gets smaller through internet it's important to play live to make it. With a new line-up - they have a new rhythm section - they are ready to conquer the world of progressive power metal. With Embodiment they kick off - and actually the songs also gives you a good idea about what to expect. It's a fast power metal tune with catchy hookline, but it's singer Silvio Massaro with his extra-ordinary voice who makes Vanishing Point differ from others. They slow down a bit with Tyranny Of Distance which is riff-based, but breaks and keyboard parts add some progressiveness. Massaro's voice a bit deeper - which just fits to the song and make it a bit melancholy... Another cool one is Hope Among The Heartless which sticks out, coz it starts in Italian! Later switches to English - perhaps to make it easier to sing along when they play live... More symphonic then the first tracks, but still with heavy riffing. Towards the end there is an instrumental part with a slight oriental feel... Cool! The atmospheric instrumental Gaia is building a bridge between Hope Among The Heartless and I Within I. The later one is a powerful rocker - a bit threatening and Silvio's vocals have partly a slight aggressive touch... But the hookline brings back some catchiness... For a few moments Massaro reminds me of Matt Barlow... Ashen Sky starts with some spacy intro... But then the music joins in! And again they manage the walk on the edge between power metal and progressiveness. Between simple riffs and complexity. Unusual drum patterns and symphonic keyboard passages. Well done! With One Foot In Both Worlds they present a 70's prog-inspired balladesque song - which later gets quite powerful. They create soundscapes, but then get back to riff-based parts. A roller coaster ride between powerful riff-based parts and atmospheric soundscapes. The following Wake Me is an ear catcher - and in a way continues what they started with One Foot In Both Worlds just the slow parts are missing... A slower one is the last track A Day Of Difference which is lacking the riffing and more spacy... Floyd-ish... The spoken parts a bit like War Of The Worlds... And only the refrain will stick. Very intense. Very unusual. Prog metal fans might miss complexity and instrumental solo parts, but everybody who likes power metal with prog elements should check out The Fourth Season. The song always has priority and not showing ego / skills. 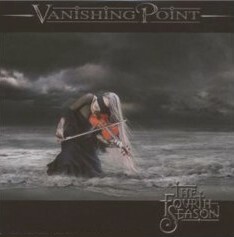 Songs like Tyranny Of Distance, Hope Among The Heartless, Wake Me and Ashen Sky will give you an idea of Vanishing Point 2007. Vanishing Point plays progressive metal... "Great melodies combined with intelligently styled arrangements, which manages to rock, whilst still sounding atmospheric and sensitive" to quote the bands bio. But they are not pure progressive metal, there are parts which reminds of bands like Bad English... Vanishing Point is a band which is attractive to people outside the prog scene as well. Closer Apart is representing the band very good, containing all the typical elements... Silvio Massaro's voice is kinda toping on the ice... on the music which is on a technically high level. I would recommend: Samsara, Never Walk Away and The Real You. It's a pleasure to listen to this album and it soon makes you addicted!